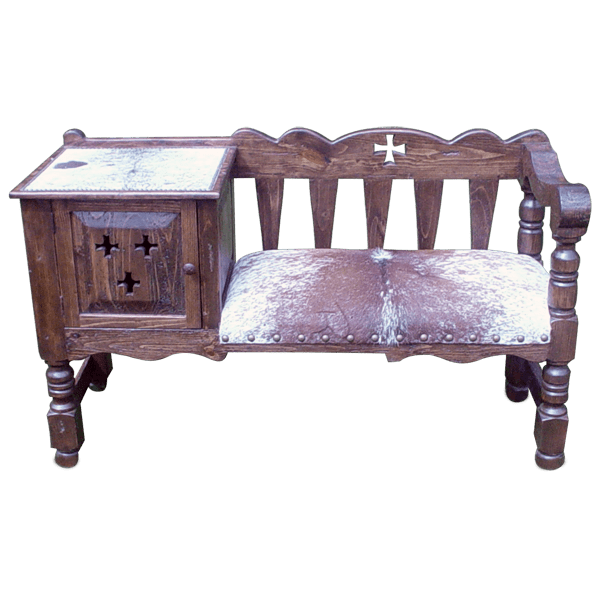 This versatile, handcrafted, Spanish colonial style bench is perfect for your entryway, your hallway, or your living room. 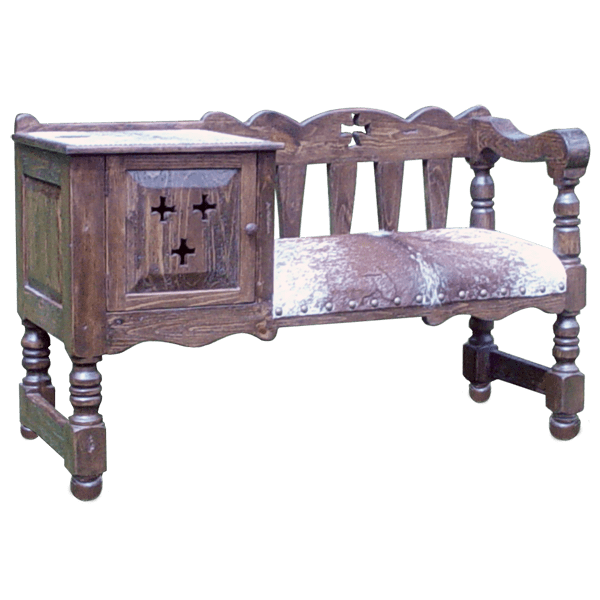 The bench has a wide, curved seatback, with individual, solid wood, spindle construction, and centered in the seat back is a cut out cross design. The seat is upholstered with patterned, real cowhide, and the cowhide is hand tacked to the frame with large, gilt nails. 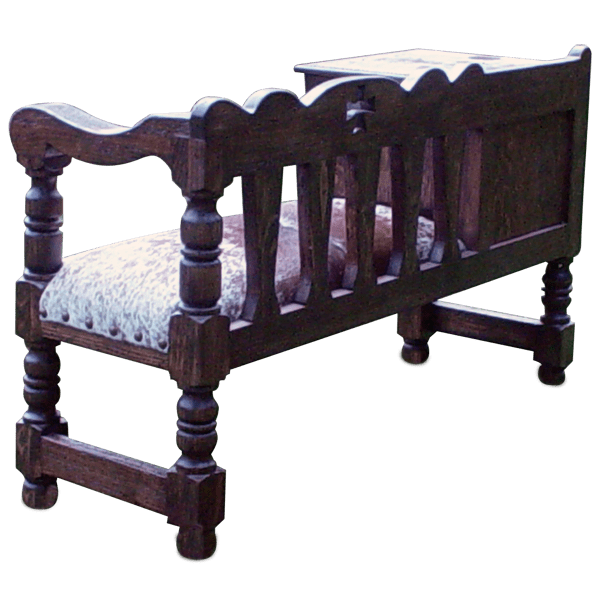 On the right side of the seat is a Spanish colonial style, curved armrest, ending in a scroll design, and on the left side of the seat is a small cabinet. The cabinet door has a square cut design, with three cut out crosses on the face of the door. The top of the cabinet is covered with matching, patterned, real cowhide, and the cowhide is secured with decorative, gilt nails. The door has a hand forged, iron pull handle, and there is practical storage space inside the cabinet. The bench is supported by elegant, hand turned legs, and the legs are connected by rectangular cut crossbars. It has an antique finish, and it is made with the best, sustainable, solid wood available. It is 100% customizable.